Dylan's Candy Bar goes chic! 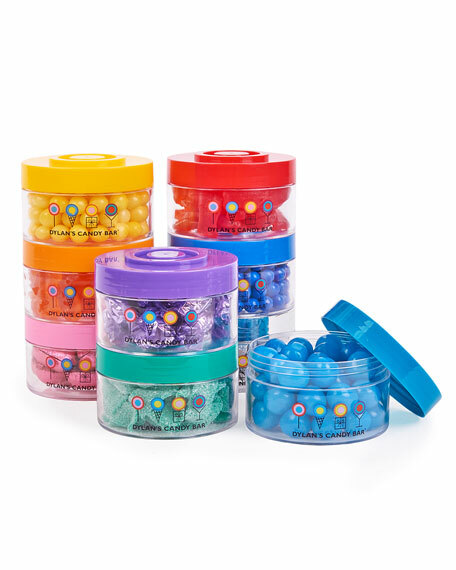 These nine stacking bins filled with delicious, color-coordinated candy are sure to delight whoever receives this elegant collection. 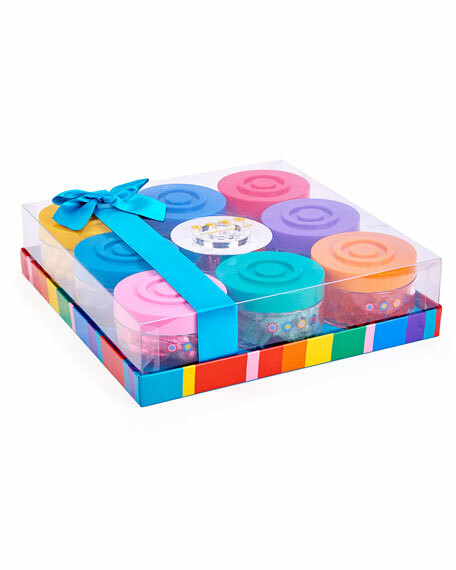 Spread some color, candy, and happiness with this picturesque gift set! Nine-piece deluxe set of gummy, sour, and chocolate candy includes: Swedish fish, orange gummy bears, dark chocolate pink hearts, purple hard candies, green sour belts, blue fruit sours, blue Sixlets, lemonheads, and silver chocolate balls. Allergen Information: Contains dairy, nuts and wheat. Dylan's Candy Bar has elevated the candy shop to a world-class destination. 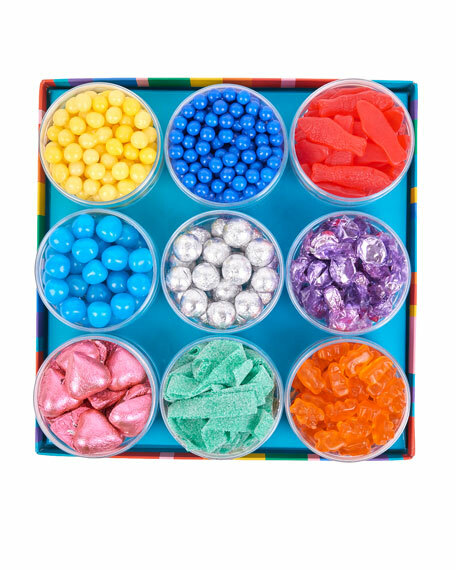 Founded by Dylan Lauren, daughter of legendary designer Ralph Lauren, this "candycopia" offers over 5,000 types of candy in unique pairings that speak with a playful wit. Jellybean birthdays, white-chocolate weddings, honey-drizzled holidaysany occasion becomes much sweeter when topped with the technicolor treats of Dylan's Candy Bar.